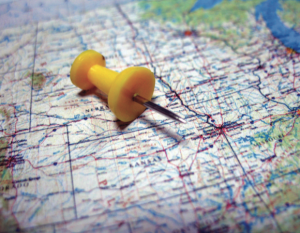 GeoCoding offers a generational leap forward for facility programs. In the year 2000, the ability to validate a service was as basic as the technology we used on a daily basis. VCRs, Walkmans, signed work order tickets and phone calls to the local store manager after every service — while rudimentary — were the benchmark of the industry. In 2005, that process took a few steps forward through the use of IVR technology, allowing providers to call into a central phone system, confirming what services were completed. While not perfect, with the technology offering significantly less value for certain exterior services like snow removal and landscaping, it still provided an improved level of transparency to the services being delivered day in and day out at the local facilities. As the years progressed, IVR became a staple of any best-in-class facility program. In 2015, the process has taken a generational leap forward through the use of GeoCoding, providing real-time and “100% accuracy” of location and time of services. How does this technology work and what are its implications to the industry as a whole? Let’s explore some of the more relevant applications. Global Positioning System (GPS) is a space-based navigation system that provides location and time information. Created by the United States government, they maintain and allow access to the system as long as you have a GPS receiver. GPS technology has become part of the fabric of our day-to-day lives, supporting not just your ability to find your Aunt Susan’s house for that last-minute holiday party but allowing our entire financial banking system to transact business to securing our ability to protect our borders from enemies far and wide. Pick up the latest thriller in your local bookstore and an attack on our GPS infrastructure is a popular storyline. So it is no surprise that GPS technology has invaded facilities. So how does it work and how might it work for your portfolio? For retailers who partner with many of the larger third-party work order platforms, your service partners will be able to utilize their GPS systems to check in and out for every service. Wondering if and when your facility was serviced? Review the GPS data, and an accurate description of time spent on-site is received. If you don’t currently utilize a third-party platform, speak to your current service partners as many companies have launched their own GeoCode apps with great success. 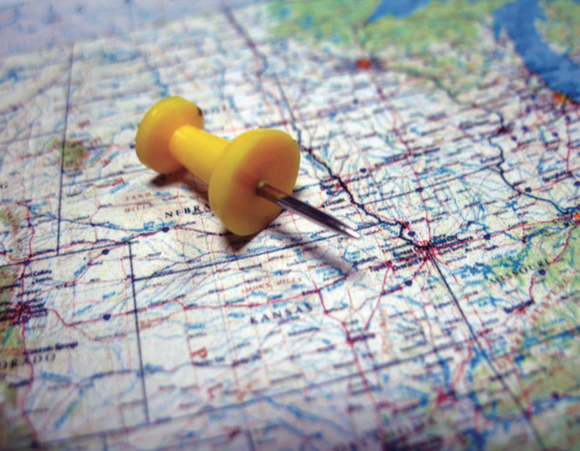 So what do most retailers hope to accomplish with the transition to a GeoCode app? 1. For those still trying to navigate away from the old school hard copy work order, this provides a clear line of sight into the services being delivered. 2. From a direct cost perspective, a retailer should expect to see a significant cost reduction in its own administrative costs now that it can stop reviewing thousands of hard copy work orders every month. 3. For the suppliers, the cost to distribute, collect and follow up on every work order ticket has a real cost — take that away and drive some savings back to your own service program. 4. If you have moved to IVR already, this next generation verification tool will provide an improved confirmation into who was there, when they were there and most importantly, what they did. 5. Looking for a direct line access to the crew on-site? An advanced GeoCode app will have “push communication” capabilities, allowing it to send real time updates to the techs in the field. Imagine sending a note to a crew alerting them to a blocked fire door that needs shoveling, which they can view as soon as they arrive on-site. The list of applications is endless. As technology advances daily and companies continue to explore its use for facilities, the truly exciting part is what the next 3 to 5 years will bring. We’ve made the leap from IVR to GPS. What will the next leap from GPS look and feel like? While talk about drones has been a fun topic at some recent shows, my guess is the next great thing is something still in its infancy. Could a software application like Uber, for example, be the foundation for future computer code for suppliers to assign and dispatch service techs in the field? We shall see. Somebody may already be testing just that option! In the meantime, I would encourage everyone to continue to explore the advances made in technology and push your own organizations forward as our industry continues to push for ways to become more efficient and more effective in the facilities we support and manage every day.